Genesis Attachments, the leading supplier of high-quality demolition work tools for excavators, has signed a co-operation agreement with Steelwrist for supply of full automatic attachment interfaces direct from factory. As the global demand for fully automatic coupler system is rapidly increasing, Genesis Attachments will from now on offer demolition work tools with SQ type adaptor plates directly from factory. 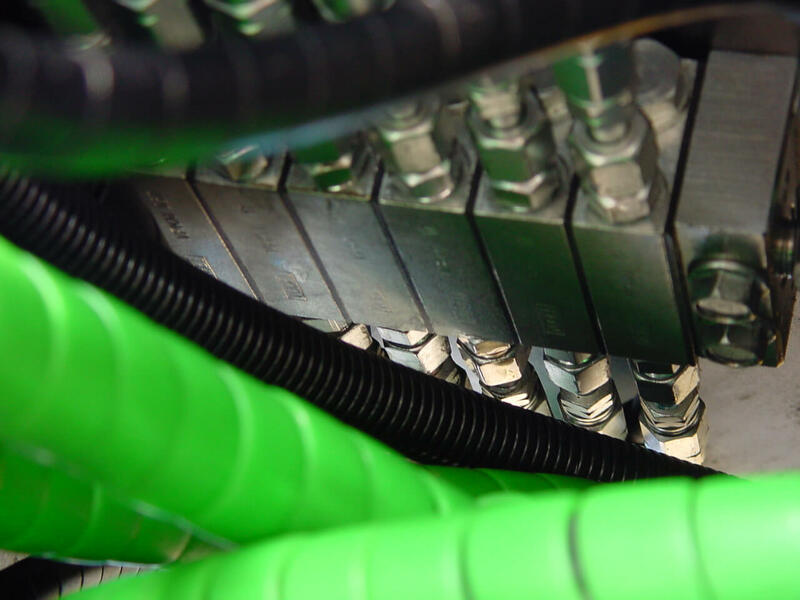 The target is to increase productivity and reduce downtime for end users as the interface between work tools and adaptor plates can be made in a more efficient way with optimized hose routings directly from factory. “The performance, quality and safety functions of the Steelwrist SQ product line fit perfectly in to our delivery program. We will now be able to supply our dealers and users with tailor-made, fully automatic solutions, and our dealers can focus on giving end customer even better field support instead of spending time in the workshop”, says Jeff Adams, Vice President and Managing Director of Genesis Attachments. “Steelwrist target has always been to work close to Original Equipment Manufacturers. With this agreement we take another step in this direction and we feel there is a good fit with a great team and a high quality brand such as Genesis. We have a tremendous interest for SQ type couplers and adaptors and we are now well positioned as the global standard is now booming”, says Stefan Stockhaus, CEO of Steelwrist. Steelwrist quick couplers are well-known for safety features such as Front Pin Lock™ and their robust steel casted design. SQ systems are appreciated by the customers mainly for the increased safety and ability to change hydraulic powered work tool in seconds without leaving the cabin. “Steelwrist SQ products in combination with Genesis demolition attachments creates a perfect match. Our QPlus technology enables higher hydraulic flows with less pressure drops than other systems on the market. Steelwrist and Genesis product benefits combined together will surely be recognized by our customers”, says Toni Ylitalo, SQ product line responsible at Steelwrist. Steelwrist, based in Rosersberg, Sweden, is today the fastest growing manufacturer of tiltrotators and quick couplers in the world. A determined focus on robust and modern products, combined with fast service has been appreciated by an increasing number of customers. For more information about Steelwrist, please visit steelwrist.com. Genesis Attachments, based in Superior, Wisconsin, is a global leader in the design and manufacture of high-quality shears, grapples, concrete processors and specialty attachments for the scrap processing, demolition, material handling and offshore decommissioning industries. For more information, visit genesisattachments.com.